Isaiah - The history of ancient Israel is replete with "prophets of the Lord" who were called to speak to the Jews on Jehovah's behalf. The books of the prophets are divided into the major and minor ones, as well as there being numerous other prophets, such as Elijah and Elisha, who were chosen to impart God's will when the people sought it, and to rebuke them when they went astray. God referred to the ancient Israelites as a "stiff-necked" people and often they would drive off or even kill the prophets. Perhaps the greatest of all Old Testament prophets was Isaiah, son of Amoz. His ministry took place in the latter half of the eighth century B.C. and spanned the reigns of four kings of Judah (beginning in the last year of Uzziah's). The dominant Geo-political event of the time was the expansion of the Assyrian Empire and its encroachment into the Levant. In fact, it was during Isaiah's time that the northern kingdom of Israel fell to Assyria, and its inhabitants exiled, creating the "Ten Lost Tribes". The southern kingdom of Judah was left unmolested and appears to have been a client state of Assyria's. But a couple decades later, Judah's king, Hezekiah, rebelled (II Kings 18:7) and allied himself with Egypt (Isaiah 30:2-3), putting himself in Assyria's sights. As a result, Jerusalem prepared for the inevitable invasion and Isaiah may have been the only prophet to take up a sword and help defend the holy city. The most interesting and enduring aspect of these preparations is an underground tunnel built by Hezekiah (named for him or sometimes called "Siloam's Tunnel") from the Gihon Spring and leading to the Pool of Siloam as a source of fresh water for the city (II Kings 20:20). This allowed the residents of Jerusalem to completely barricade themselves inside the city for virtually an indefinite period of time. The tunnel exists to this day. Jerusalem survived the invasion and outlived the Assyrian Empire. It would not fare so well against Assyria's successor though. Isaiah foretold the downfall of Judah and exile at the hands of Babylon (Isaiah 39:5-7). 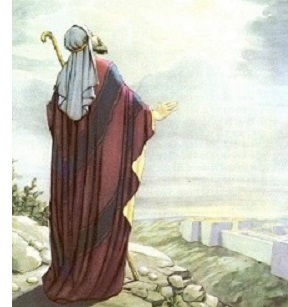 But he also foretold the Jews' liberation from Babylon and even mentions their deliverer, Cyrus, by name (Isaiah 45:1). The fate of Isaiah is unknown. There is no mention of his death in the Bible, but Jewish tradition holds that he was martyred under Hezekiah's son and successor, Manasseh.